By Colonel Rosanne Greco Ret. 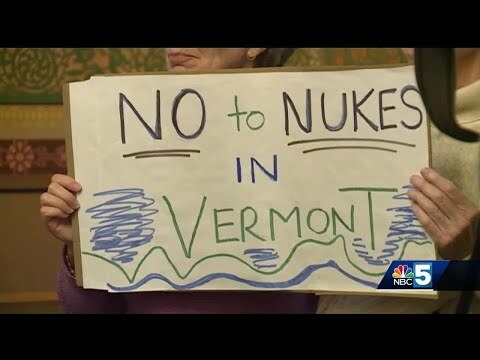 I’m writing from the Burlington, Vermont area to tell the people of the Boise, Idaho area that you are not alone. 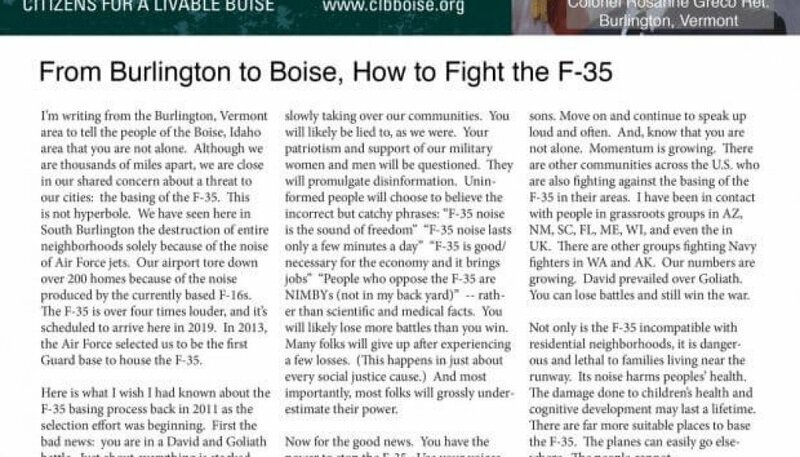 Although we are thousands of miles apart, we are close in our shared concern about a threat to our cities: the basing of the F-35. This is not hyperbole. We have seen here in South Burlington the destruction of entire neighborhoods solely because of the noise of Air Force jets. Our airport tore down over 200 homes because of the noise produced by the currently based F-16s. The F-35 is over four times louder, and its scheduled to arrive here in 2019.